Hello and Happy Friday Eve chocoholic friends! It's been a bit of a crazy week so hope everyone had a nice Easter and Passover last week. Barely getting this party up this week so no features today. Well jump right in to the party! Lots of long necklaces with wonderful beads and filigrees to go with all those great flapper dresses. Hats! I really do wish hats were still more of a thing. Brilliant me, I thought I’d uploaded the pics with the supplies and the steps for this necklace and so deleted them from my camera. Uh-oh. I used a combination of bright and antique gold chains, champagne colored glass pearls, and gold and cream “beaded beads” for lack of a better descriptor. 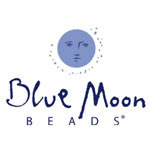 All supplies are from Blue Moon Beads ( I am a Design Team Member) . I built this necklace around this antique gold feather pendant and chose gold chains with amber rhinestones for one side of the necklace, and made sections of pearl and gold chain for the other side. I threw rules away and used bright gold, antique gold, all kinds of gold tones figuring that truly vintage items patina at their own pace. What’s a necklace without a bracelet? For the bracelet, I used a combination of chains and then a made a center cluster of the same beads from the necklace. Now, off to look for a fabulous cloche style hat! Happy Friday Eve all. It's been another whirlwind and not so crafty week here at The Answer Is Chocolate so I've looked forward to the party all week to live vicariously through all of your creative projects! Here are a few highlights from last week! While this is Easter themed, the ladies over at Something Splendid have a fun and easy table runner project that could be adapted to any theme. Rena over at Jewelry Making Journal has another spectacular tutorial to share. With Mother's Day coming up soon, this would make a great gift and no fancy tools required! Plus I love what she named this. 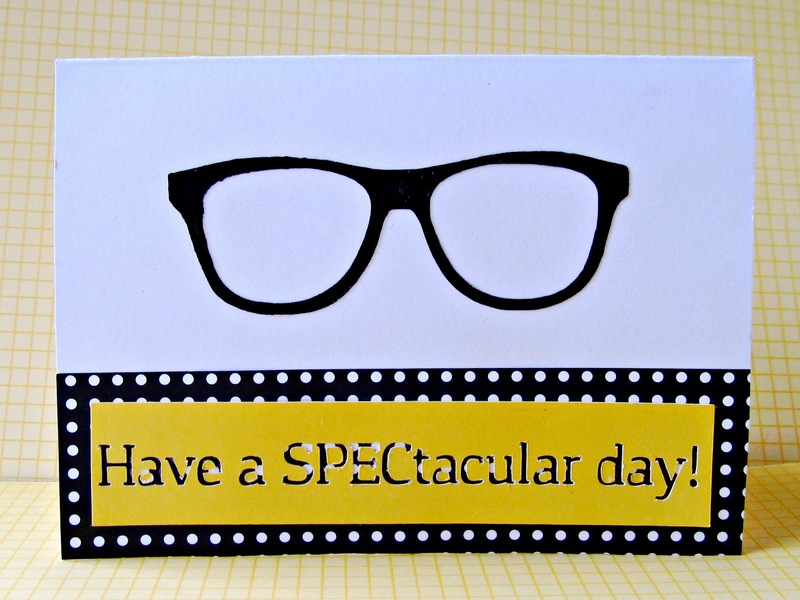 It's no secret that I love making cards, but I also love puns...one could say I'm punny that way ( everybody groan now). Julia at It's Always Ruetten as a fun all occasion card to share. Who else remembers the Oreo cookie commercial jingle "Ice cold milk and an Oreo cookie..." ? If you do remember it, you can thank me for that ear worm that's now stuck in your head! Well Oreos could only be better stuffed in brownies am I right? You'll want to check out Kay's recipe over at Love Food , Will Share. 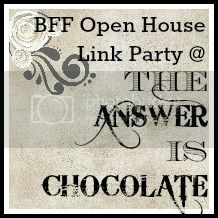 Happy Friday Eve and welcome to another party here at The Answer Is Chocolate. Spring has definitely sprung as evidenced by last week's party. Here are some of the highlights. 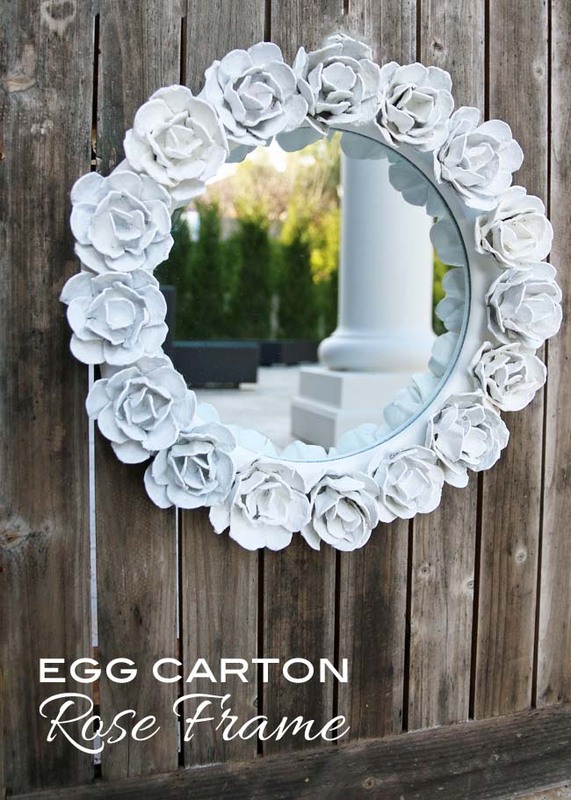 With all the extra eggs used this time of year, be sure to save the cartons so you can make this gorgeous wreath frame shared by Melanie at Blissbloomblog. I would never have guessed egg cartons! Like so many crafters , I love finding things at the Dollar store. The DIY Homegirl has a great roundup of projects using Dollar store finds. My Emiline has a fresh and fragrant lemon sugar scrub. Mother's Day is coming. Wonderful gift idea. 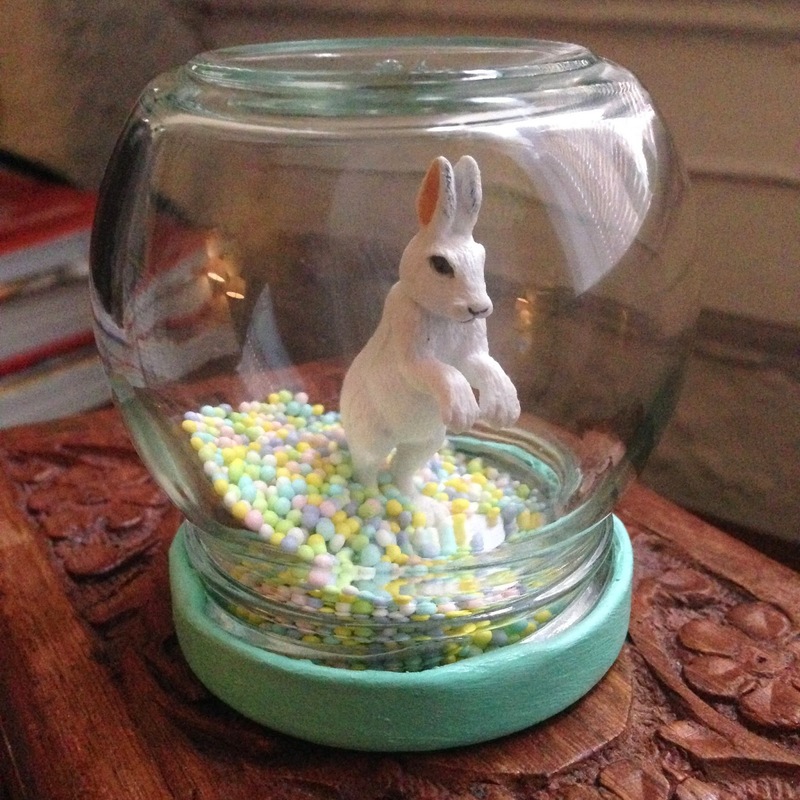 I absolutely love this little bunny in a jar from The Crafty Lumberjacks. Wouldn't this make an adorable addition to an Easter tablescape? This week's chocolate feature is a delight. Feast for the eyes and the tastebuds. Lovely for an Easter table , shower, or special dinner. 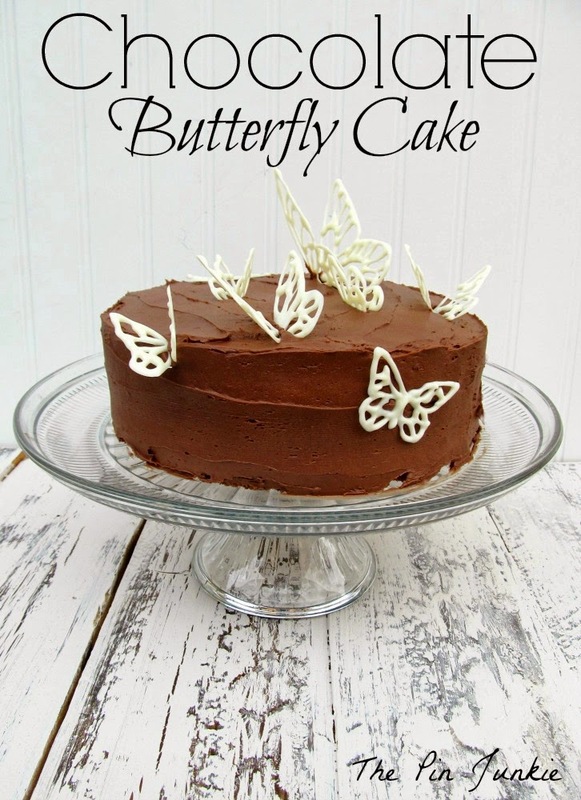 Visit Bonnie over at The Pin Junkie to see how she made the butterflies. Now for this week's party! My creative process is usually to survey what supplies I have on hand and then kind of “feel” a project. Sometimes I look at things, take them out, put them back. Sometimes it's instant. Other times it takes a while. Still, I needed to make some cards so used what I had . All my dies and embossing folders are packed up. 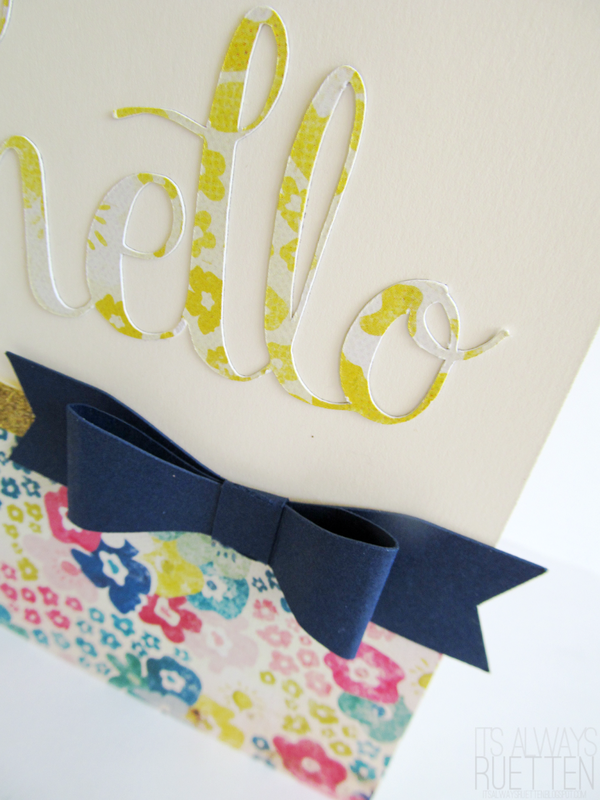 I have my neutral papers , a bin with miscellaneous embellishments and some stamps on hand. For these cards, I used a combination of silver, gray and white papers. Stamped the floral medallion on white paper with grey chalk ink, and layered with torn silver paper circles. Embellished with rhinestones and self adhesive sticker borders. For this card, I used a natural color scheme with fossilized leaves and a metal frame and tree as the focal. For the last card, I used gray and white with a splash of color from fern and 3D Iris stickers and a metal butterfly I found in the $1.50 bin at Michaels. Friday Eve...best day of the week! Hope none of you endured any awful April Fool's day pranks. Not a fan of that day. My readers know I love making cards. This one from It's Always Ruetten is a must make idea. Perfect for so many occasions. Spring and birds go together don't they? 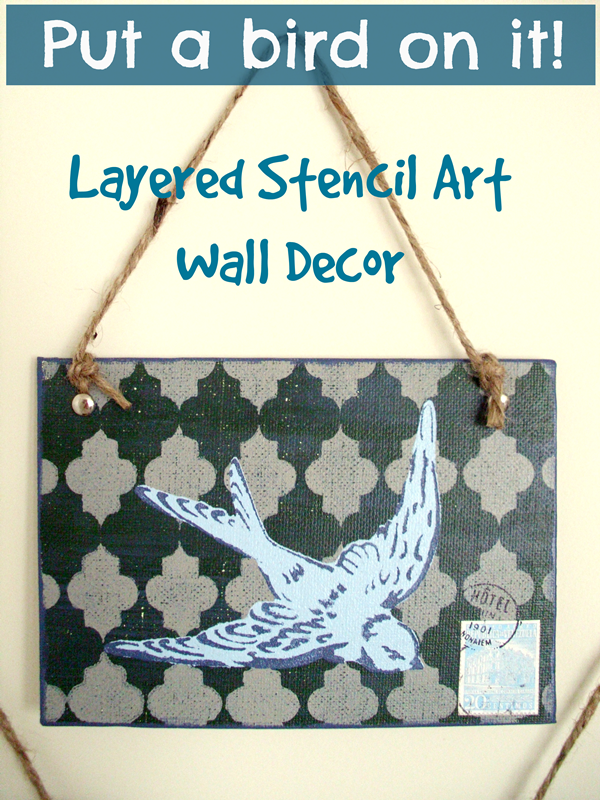 I really like this layered stencil bird project from Laura at Pet Scribbles. Doreen over at Altered Artworks took her love of altering things to a bigger level. 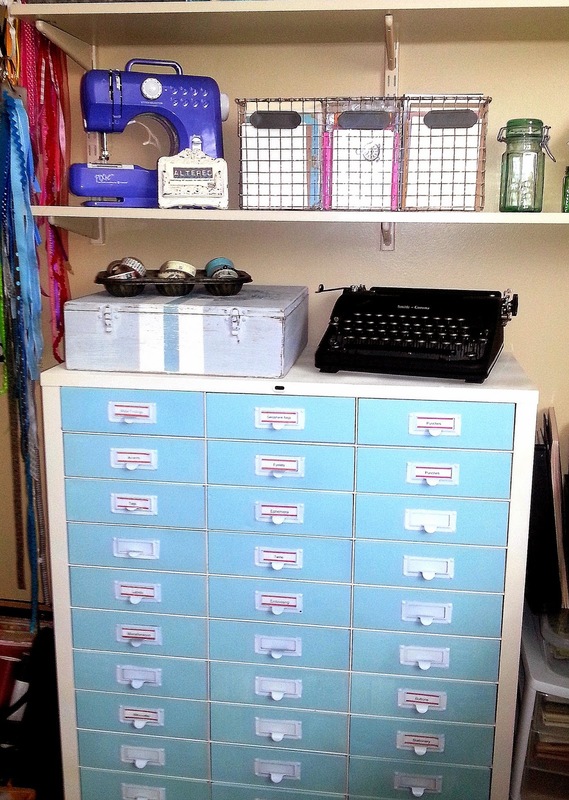 Ab fab makeover of this flea market found metal file cabinet to some new Industrial Chic storage for her workroom. Finally this week's chocolate feature. Simple, classic, delicious and never tire of this combination. 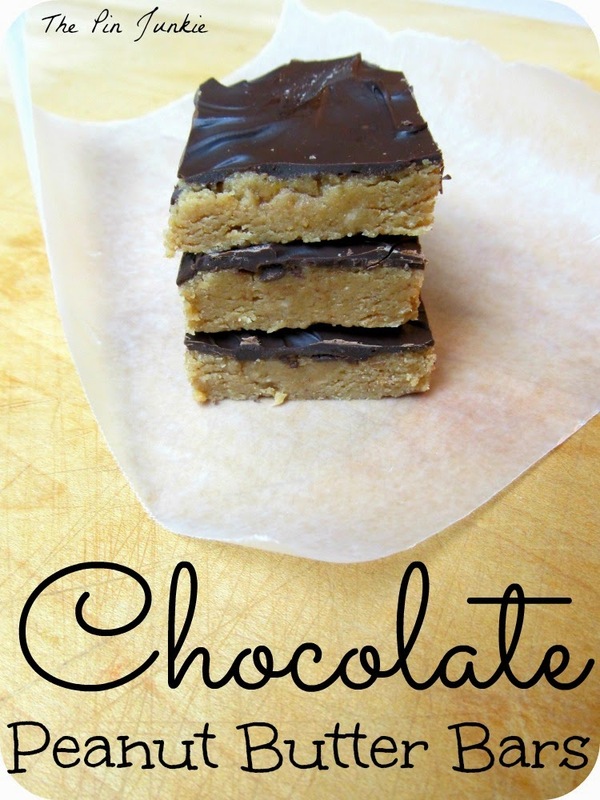 Chocolate Peanut Butter Bars from The Pin Junkie.